***2015 BOOKS OF THE YEAR - THE TIMES, UNCUT, ROUGH TRADE******SHORTLISTED FOR THE 2015 GORDON BURN PRIZE***Twenty years ago every town had one. From Bangor to Bradford, Bognor Regis to Bournemouth, independent record shops could be found on every High Street and many back streets, across the length and breadth of the land. But as the principal format for music switched from vinyl to CD, these places - synonymous with the thrill of discovery experienced by every serious fan and collector - started to disappear. Vinyl has recovered but its natural environment - the record store - is a rare and precious beast. Richard King's book about several years spent working in Bristol's Revolver, is a clear-eyed yet romantic account of life behind the counter in a business run from the heart not the head with a tendency towards dysfunction. 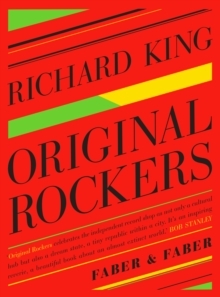 In ten chapters of elegiac prose, King brings this lost environment back to life: the smells, the people, and of course the sounds. 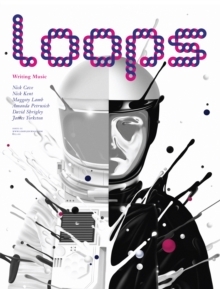 We see the landscape of a young person's taste come into view with magnificent passages on CAN, Captain Beefheart, Augustus Pablo, Rod Stewart, Sun Ra Arkestra and the free jazz of Cornelius Cardew. And we see the development of Bristol as one of the key musical cities, from its roots sound systems, through the parties run by the Wild Bunch collective, to the emergence of Massive Attack. 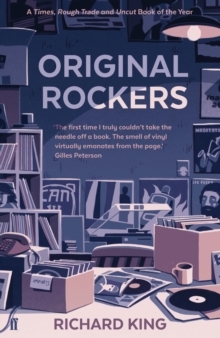 Original Rockers evokes a golden moment about to turn to dust in the history of British record stores and celebrates the abandon with which we hear music, and it does so magically, without recourse to nostalgia.